At CNH Industrial sustainability is one of our core principles, and our longstanding commitment to natural gas powertrain technology is testament to this. 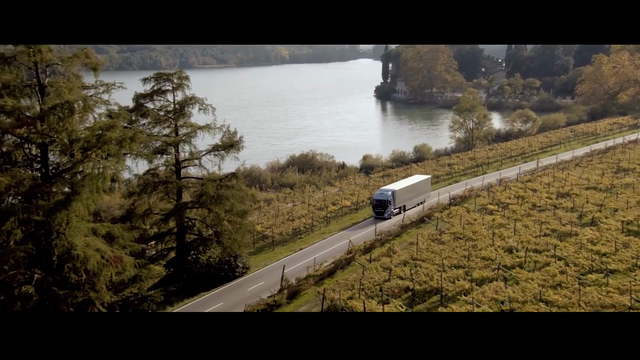 We develop IVECO vehicles and FPT powertrains that use environmentally friendly fuels to radically reduce emissions and maintain the same performance as conventional engines. In two decades, CNH Industrial has produced over 40,000 natural gas engines that power cleaner trucks, vans and buses. With different natural gas solutions, including compressed natural gas, liquefied natural gas and methane and biomethane we are committed to delivering the right solutions across our full product range. Compared to diesel, using natural gas can reduce Nitrogen Dioxide emissions by 90%, Particulate Matter by 99%, and Carbon Dioxide by 95% when using biomethane, and reduce drive by noise by 50%. Biogas can even be generated from recycle waste products enabling energy independence through a virtuous cycle. European infrastructure to support natural gas is developing. With over 180 LNG stations to date, the 2020 target is for operators to never be more than 400km from an LNG station, and within 150km of a CNG station. By 2030 Europe’s LNG stations are projected to total 2,000. As an interim measure, mobile LNG stations are available. CNH Industrial is a world leader in bringing this to a wider market and is paving the way for wider adoption by working with partners to ensure the required network is available.